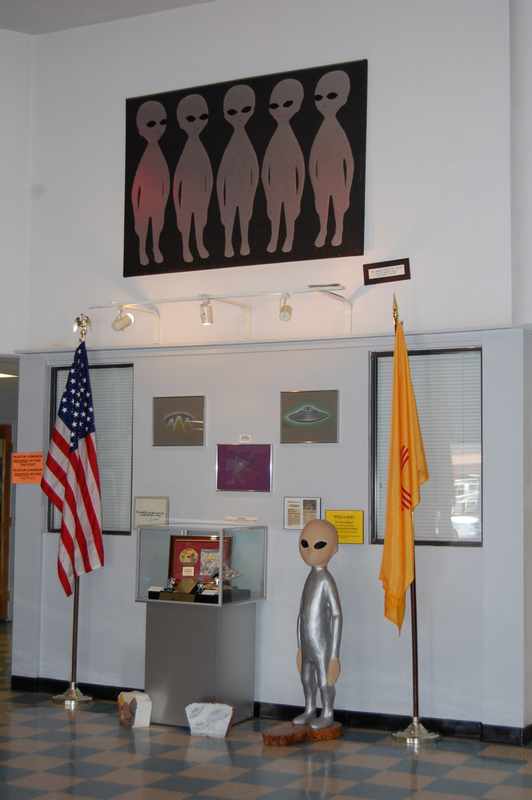 Last year, for our anniversary, we decided to go to Roswell, New Mexico. Yes, Roswell. Kevin and I have a tradition of going to weird places on our anniversary, like a tour of Philadelphia’s City Hall, and this year (more normal) France. 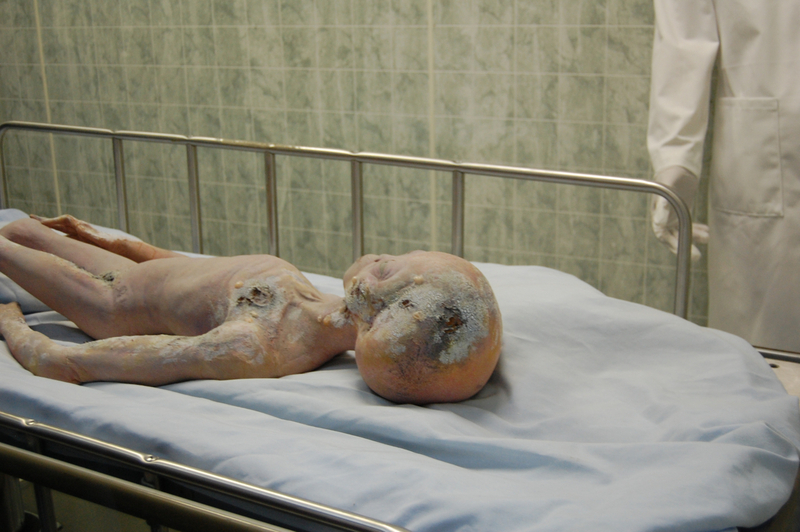 But Kevin loves aliens, and being so close to a town infamous for its alleged alien cover up, we had to see Roswell. The way into Roswell is noted mainly by the overwhelming stink of cow, manure and urine that is. And a sign boasting about Roswell being the dairy capital of the southwest gave me the feeling that this is the image the town of Roswell would like to encourage, not the intrigue of UFO fanatics. Well, I think they may be missing out on a marketing bonanza there, but maybe that’s their point. Once you get into the heart of the main street, some of the stores certainly play up on the alien theme. Our main goal was a tour of the UFO museum, a small little place on the main street. 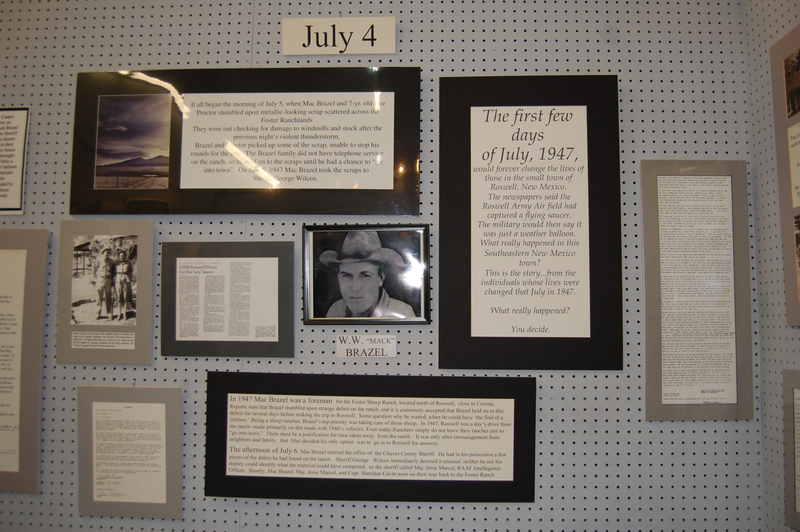 Here we found first hand accounts of the Roswell crash, written and signed by those there at the time. It seems a ship fell from the sky on a farmer’s land. Excited by the find, he brought a strange and peculiar metal into town to show others. It folded like aluminum foil but had incredible strength. The newspapers headlined that the military acknowledged they had recovered an Unidentified Flying Object. 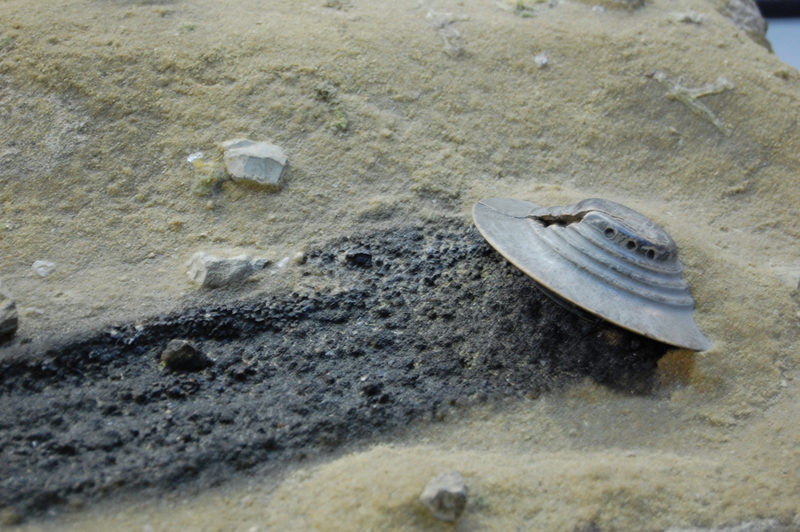 The military recanted the next day, saying it had just been an weather balloon. The government came and took away all the evidence, and the farmer somehow ended up with a brand new truck. You can see copies of the newspaper article posted in windows and sold at gifts shops all over Roswell’s main street today. For me, the thought of life existing on other planets seems more like a probability than a possibility. Are they actually here on earth now? I don’t know, but there was a whole lot of testimony there and I’m inclined to take people’s word on it. I seems to me this museum would interest people who are really into aliens, or have a really inquisitive mind. 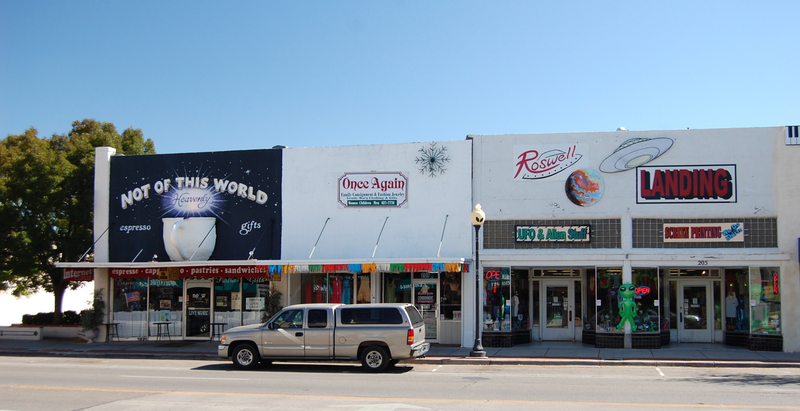 Personally, I would love to come back for Roswell’s Alien Festival, held annually in July. I can only imagine the scene. 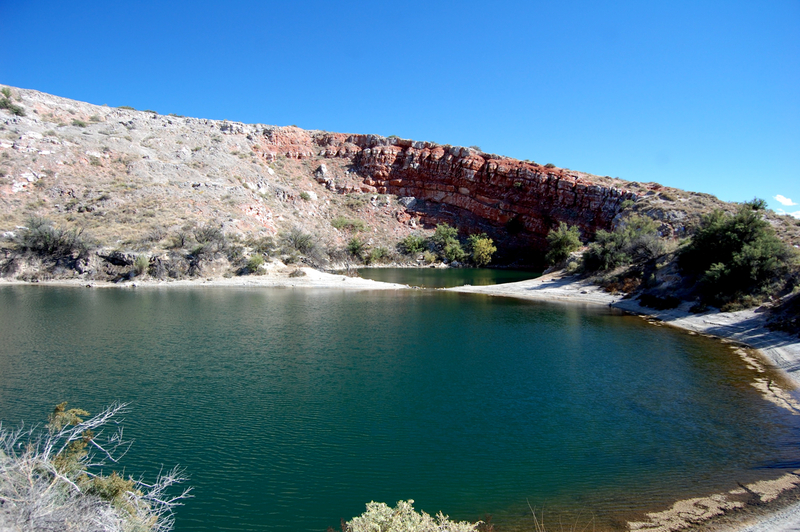 If you visit, when you are leaving town, do stop by the nearby Bottomless Lakes. You won’t be disappointed with the beauty of the view. Kevin and the dog went in the lakes, something I stopped short of when Kevin’s foot sunk deep into smelly gook. We did not realize you are not supposed to swim here, there are currents that can be dangerous so learn from our mistakes- stay out of the water! 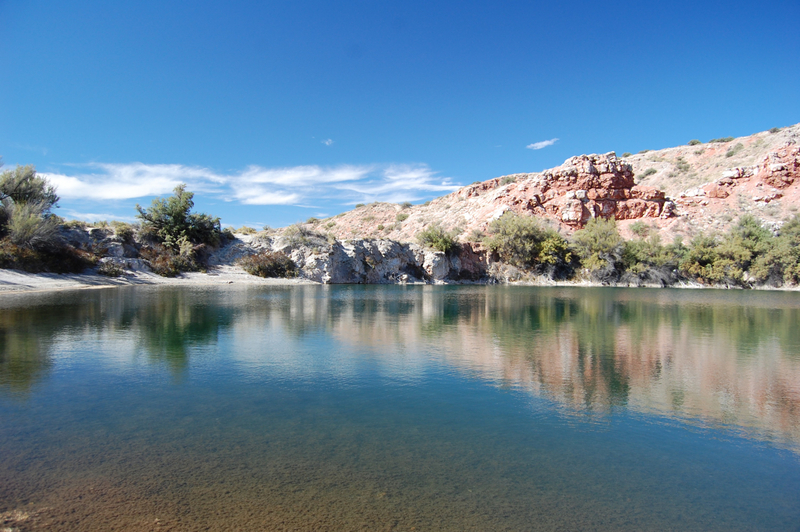 And although the sulfurous lakes emit their own odor, it is well worth it to take in the stunning landscape of red rocks and blue- green lakes that shimmer under a sunny sky. There is camping right at the lakes for those who might like that, something we originally intended to do. We arrived a little late and it was dark, so we decided a hotel would be easier. But others were certainly enjoying the cool autumn night by the lakes. 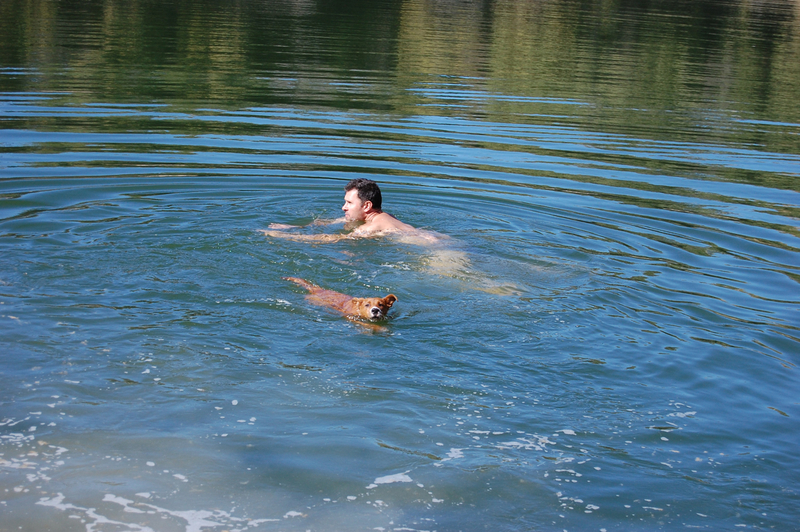 swimming with dog in the lakes- stinky and dangerous because of currents- do not attempt! Very interesting post. Thanks for checking out my pages. thanks & I am glad to have found your blog- The Pacific Northwest is so beautiful! Thanks for the info! We didn’t realize there were currents. 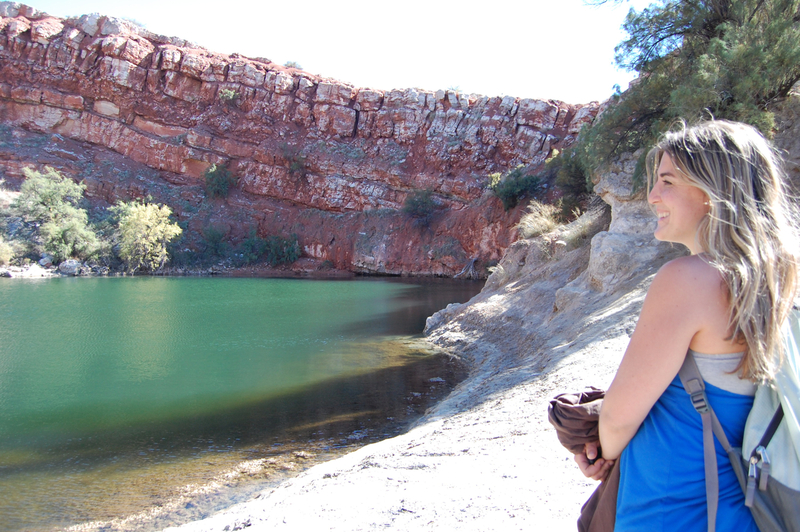 My husband has a history of swimming in places he’s not supposed to (much to my chagrin!) & I wouldn’t want to steer anyone else that way. Will update the blog.